There are companies out there who want to sell you smartphones that cost thousands of dollars. Like Lamborghini Mobile’s latest device. 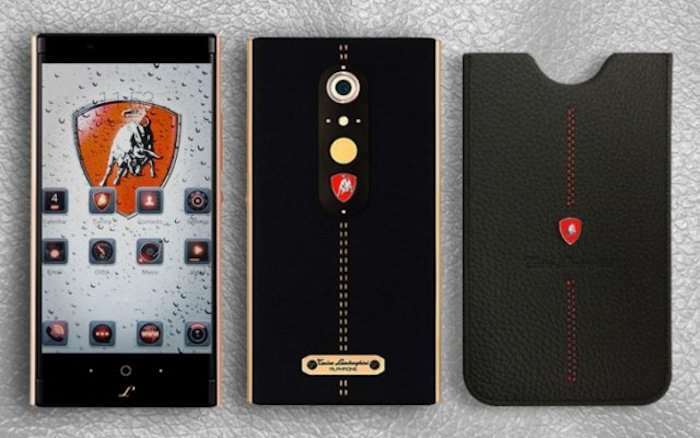 Lamborghini Mobile has launched its new Alpha-One Android smartphone which costs a crazy $2,450. The Alpha-One has good looks certainly as well as the specs that you’d expect from last years Android flagships. This phone is powered by a Qualcomm Snapdragon 820 processor with 4GB of RAM and 64GB of expandable storage. It also has a 5.5 inch Quad HD AMOLED display and a 20 megapixel rear camera. The handset also has a pair of stereo speakers with a dedicated DAC and AMP along with Dolby Atmos audio. There’s a 3,250mAh battery with support for Qualcomm Quick Charge 3.0. And Android 7.0 Nougat powers the handset. A handset with specs like these will cost you around $500. Itis essentially a rebranded ZTE Axon 7. You’re paying for the Lamborghini name, obviously. There is also Italian leather on the back and liquid metal for the side frame. The $2,450 price also gets you an Italian leather case. Lamborghini is selling the Alpha-One at Harrod’s in London and through other retailers in the UAE if you absolutely have to have it. Or you could get a ZTE Axon 7. Your choice.